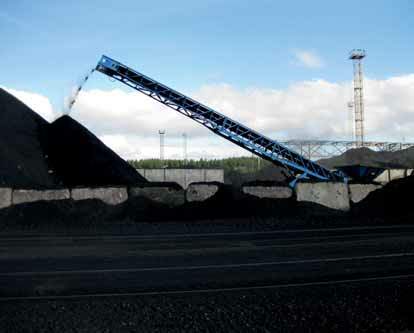 The Russian Port of Vysotsky reported coal traffic up 23.6 % in the first 10 months of 2014, during which it handled 18.48 million tons of thermal coal. In October alone, the Universal Handling Terminal shipped out 488,900 tonnes of this commodity. A second facility, the Specialised Coal Terminal, reported traffic of 14.7mt (million tonnes) in the same period, up 20.2%. Vysotsky, which is located in Russia's Leningrad region, has two handling companies: Port Vysotsky LLC and RPK- Vysotsky-LUKOIL-II LLC. Currently, capacity is being expanded, with each terminal to have a capacity of 3mt per year. Much of the coal exported goes to customers in Western Europe.